After the attack in Mali: will increased aid to the Sahel stop terrorism and migrants? After the recent attack on the Raddison Blu hotel in Bamako new international focus will be put on the Sahel region. “Security” will have the prioritiy. In that lurk imminent dangers. A terror group led by the Algerian Mokhtar Belmokhtar claimed responsibiliy for the Raddison siege. The same group attacked the mines of the French company Arewa in Northern Niger in 2013. Will increased aid stop terrorism and the flow of migrants? 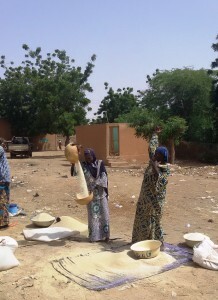 A report from Niger. ‘Viva Europa! “, the villagers of Kodo cheer. Neven Mimica, the European Commissioner for International Cooperation and Development, has just visited their village in Niger. Their tribute to Europe does not express the hopes of hundreds of thousands of West Africans for a better future in Europe. No, the villagers praise the sharply increased European aid to Niger. By giving more aid the EU hopes to reduce the breeding ground for terrorism and migration. Aid to Africa, and in particular to the countries in the arid Sahel region, is once more high on the international political agenda. The drying region south of the Sahara was in the European perception a vast and remote area with extreme poverty and indigenous rebellions. Bad, but not threatening. That vision has been adjusted radically within the past two years. The Sahel is now seen in Brussels as a dangerous area on the threshold of Europe. Against this background, the European Development Fund for 2014-2020 has made available almost 600 million Euros for Niger (18 million inhabitants). Western military aid is being increased. The UN sent a peacekeeping force to Mali, France stationed 3,000 soldiers in the region and America delivers drones and military advisers to Niger. Niger is the main transit country and therefore critical to stem the flow of migrants from West Africa. This year an expected 120 000 immigrants will pass through the country. Last year that number was 80 000. Through the northern city of Agadez, the crossroads of the migrant routes, they migrate to North Africa. A large number tries to stay in Libya and Algeria. Others try to cross the Mediterranean and reach Europe. All the migrants are young. Hassan Koroma from Sierra Leone is 21 and wants to study law. “My father lost his job and could not afford my tuition fees. I informed myself on the internet about the route to Europe and my football club collected money for me. 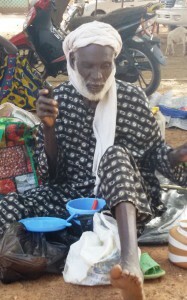 With $ 700 I started my journey”,he says in the Nigerien capital Niamey. “The corridor of death” begins after Agadez. The endless expanse of sand is home to as many dangers as the unbridled deep sea. Hundreds of migrants get stranded in the Sahara and die of thirst. According to some aid agencies more people get killed in the Sahara than while crossing the Mediterranean Sea. Once in South Libya other challenges await them. According to the International Organization for Migration (IOM) in Niamey there are thousands of migrants caught up in ‘debt homes’. “The smuggler got me trapped there and took my phone,” says Salif. “He called my parents and demanded money. But after they had transferred it, he refused to take me, and I had to return to Niger. I’m screwed.” With help from the IOM Salif now heads back to Ivory Coast. Niger, according to statistics, is just about the poorest country in the world. After fifty years of “insufficient success of development aid to Niger,” as European Commissioner Mimica puts it, the EU will try again. But in that commitment also lurk imminent dangers. In January President Mahamadou Issoufou joined the demonstration in Paris against the attack on Charlie Hebdo. After he had said ‘Je suis Charlie’, irate youths in predominantly Muslim Niger set eighty churches on fire in Niamey and Zinder. Under international pressure, the Nigerien army went this year to help in the fight against Boko Haram. Since then, the Nigerian terrorist group intensified its activity in the territory of Niger. In the southern zone a state of emergency has been declared. The Nigerien army there has been misbehaving against the residents, without any significant protest from Western donors. Giving development aid is not simple and value-free. The western development lobby encounters stubborn habits. Among the population for example, there is resentment against campaigns by Westerns NGO’s for birth control. The population growth in Niger is among the highest in the world. An average Nigerien woman gives birth to more than seven children, girls marry at an average age of fifteen. 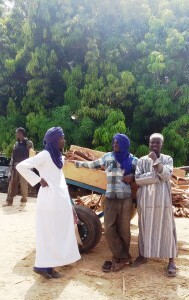 A question of whether old habits like polygamy do contribute to the social crisis in Niger is being perceived as hostile in the Ministry of Health in the town of Tillabéri. A male officer gently stroking his beard pulls a face that could be interpreted to mean “another stupid white man who does not understand our culture.” He does not respond but leaves it to his female colleague to answer. “Polygamy and population explosion have nothing to do with each other,” she says.